Last month Conor Mcgregor abruptly announced his retirement however many didn’t buy that and believed it was just a ploy from Irishman to get his negotiations done. That’s the second time Mcgregor had done in the past three years. Before his retirement plans, Mcgregor was in negotiation to face off Donald ‘Cowboy’ Cerrone in July. Instead, Cerrone will meet Al Iaquinta on May 4th in Ottawa after a dispute over where Irishman wanted the main headliner bout. 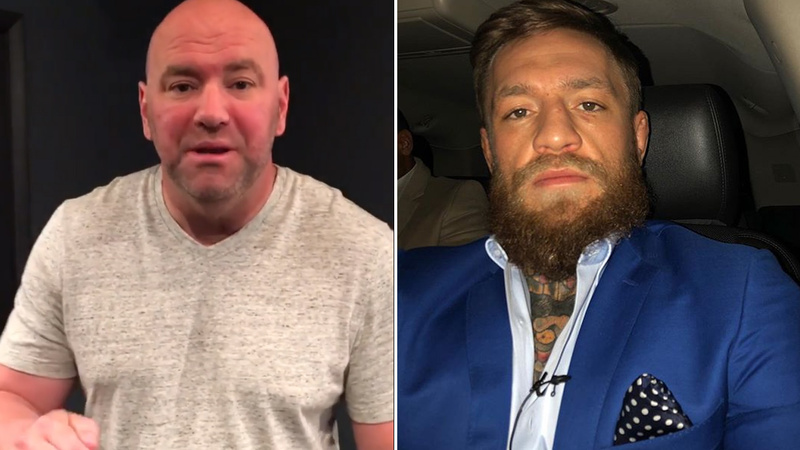 Dana White also revealed he and Conor have been communicating daily and something will be out soon as we’re working on fight plans in regards to Mcgregor’s UFC comeback. “His retirement? No [he didn’t discuss it with me]. Conor McGregor will fight again. Me and Conor communicate everyday, we’ve been talking all this week. Things are good with Conor and I and we’ll get something figured soon. What’s next for Mcgregor is still unknown, but he’d hinted several times in the past to have a grudge match against Khabib Nurmagomedov. A possible trilogy with Nate Diaz is also on the table. Last month he got arrested after stomping on fan’s cell phone. Most recently he settled the issue with the victim.